Look for ways to help your child gain and strengthen skills like attention, memory, comprehension, and logic? What about executive functioning, confidence, and stamina? Then look no further! 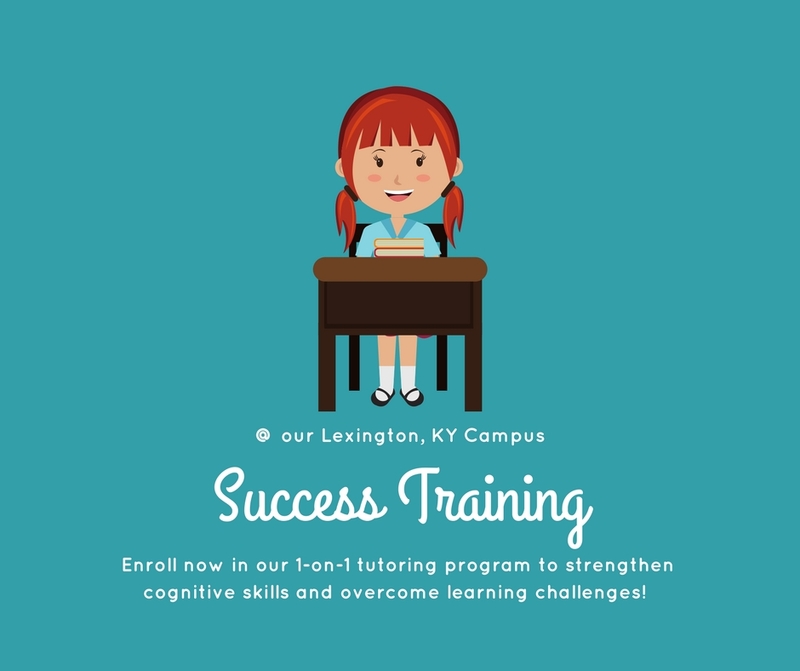 Our 16 week one-on-one tutoring program strengthens cognitive skills and helps students overcome learning challenges! Our Success training program is customized to your student’s unique needs and based on their evaluation. We strive to help the WHOLE student improve, socially, emotionally, and academically! This is why we partner with families to find the methods that will help your child find success. The best part? Many of the exercises we do with our students are FUN! Card games, movement, obstacle courses, and more! We've never had a child say they didn't enjoy Success Training! Choose the option below that best fits your family!